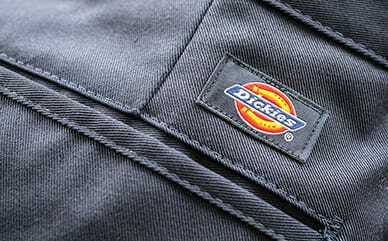 Working in the hospitality industry offers a lot of customer interaction—making Dickies Girl Juniors' High-Rise Hospitality Pants a perfect choice when you want to look put together. The breathable cotton blend also offers 3% spandex for a comfortable stretch. A contoured waistband keeps the fit perfect so you can move freely all day. The easy-care features mean you can launder your pants in the comfort of your own home quickly and easily.